Are you planning to visit Georgia? Are you beginning to learn the Georgian language? Do you like writing systems? This website is for you! 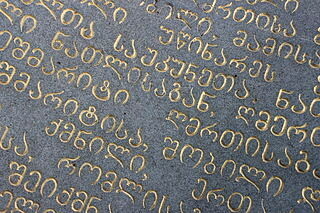 Georgian is a fascinating language spoken in Georgia, a small but beautiful country located in the Caucasus. It is written with a unique alphabet which, despite apparences, is quite easy to learn. This website offers you to learn the Georgian alphabet for free.